Rapid Transit Rafting - the only raft company that's actually IN Estes Park. We've been offering raft trips WITH TRANSPORTATION FROM ESTES PARK to the rivers for 35 years. We know your vacation time is important to you. Don’t go searching for the river on your own - sit back and enjoy the scenery while we take you there. You’ve always wanted to raft? We hear that all the time - let’s turn that wish into the highlight of your vacation! And yes, first timers and families are our specialty. We can take kids as young as 7 on any of our trips, if they also weigh at least 50 pounds. Our family trips don't look quite like the movies. Our professional guides ensure novices and experienced rafters have fun. But don't let all the fun fool you - they surpass state safety requirements with training in first aid, CPR and river rescue techniques. Each trip starts with a rafting orientation and safety presentation so you'll know exactly what you need to know before getting on the water. Our safety record is one of the best in the state. We are fully insured and licensed by the state of Colorado. Non-swimmers are also welcome. Our Colorado River Scenic Full Day Trip offers the vast views you expect in Colorado. See wildlife, Rocky Mountain National Park, Trail Ridge Road, the continental divide, the western slope and the Colorado River – all in the same day! And a riverside picnic lunch includes sandwiches with homemade bread and a homemade dessert. 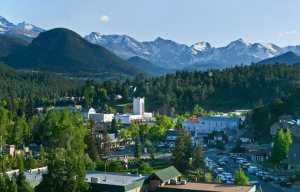 This is a very popular three-generation-family trip, and a terrific way to see the beauty of our area if this is your first trip to Estes Park. We know it’s hard to find activities that work for your kids, your parents and you – this one’s a hit. Our Cache La Poudre Half Day Trip is offered most mornings and afternoons. You don’t have a whole day to raft? This trip takes you to the only Wild and Scenic designated river in Colorado. This is a rapids trip, but we take families and first-timers daily. The river is faster early in the season and slows down some throughout the summer. Don’t miss out! Space is limited, so we have to turn people away most of the season. If you wait until you get here, it’s very unlikely you’ll be able to raft. 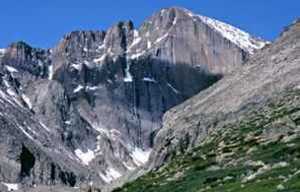 Book online anytime at rapidtransitrafting.com, call us at 970-577-7238 or toll free 800-367-8523. Email us with questions at raftcolorado@aol.com. See you this summer!